I for one like chicken thighs. They are juicy. but I think it would be nice to de-bone them first. I also love parsnips. 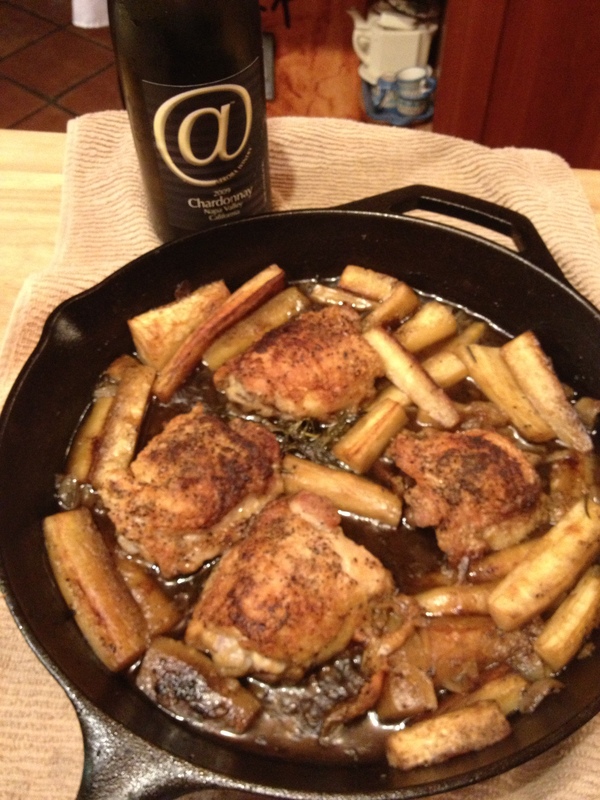 Any root vegetable for that matter with chicken in wine.